I’ve been waiting years (and years!) for a decent Mega-Man game, which seems like something that will never, ever happen. 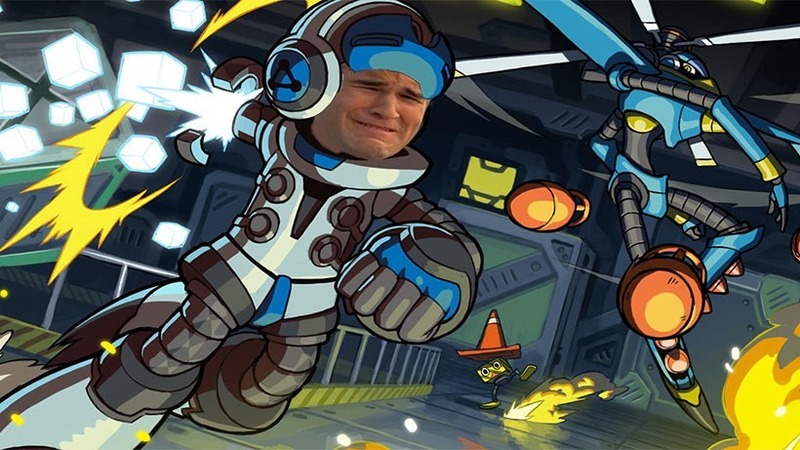 Keiji Inafune and Comcept’s Mighty No 9, a kickstarter project that’s essentially Mega Man under a different name has been the bright light at the end of a rather depressing tunnel. It seems though, that the bright light is actually that of an incoming train. For a few weeks now, there have been rumours, spurred on by various retailers, that Mighty No 9 has been hit with a delay. I’ve largely ignored them, willing them to be false bits of news spread to make people like me unhappy, or something restricted to the game’s physical release. I’ve very much taken the “head-in-the-sand” approach to news of its ilk, because I’d like to believe that I’ll play Mighty No 9 this year. “As we have communicated in the updates to our backers, all of the core content for the game is developed and in a complete state,” a post on the game’s official, backers-only forums reads. “However, there are still bugs and issues pertaining to the online features that are included in the game. These bugs and issues have a direct affect on enjoyment of the game, so a decision was made to work these issues out before release. The developers are now aiming for a release in the first quarter of next year. Bah!